Sumatra PDF is a PDF file viewer that focuses on minimalism and speed. Such simplicity means that it is only have the main functions. 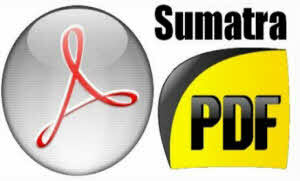 Sumatra PDF main functions are: print, rotate and display three different modes (Facing, Continuous and Continuous Facing). Sumatra PDF user interface of the program is plain and simple, although the default background color (yellow) can be a little disturbing to the eyes. You can open a document by using the file browser or the "drag and drop" method. Sumatra PDF can handle files in the PDF, XPS, DjVu or CHM format (including comic books CBZ, CBR). Sumatra PDF uses a low amount of system resources, can guide you to an online user documentation.